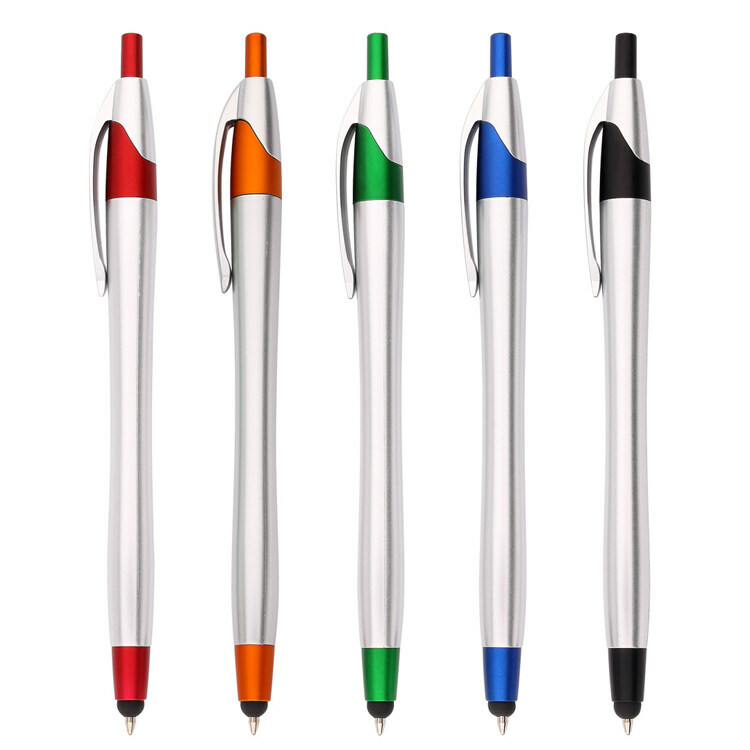 The popular Javalina Stylus Pen is back and with NEW colors! With so many options, you can choose the trim and barrel combination that best fits your needs and desires! 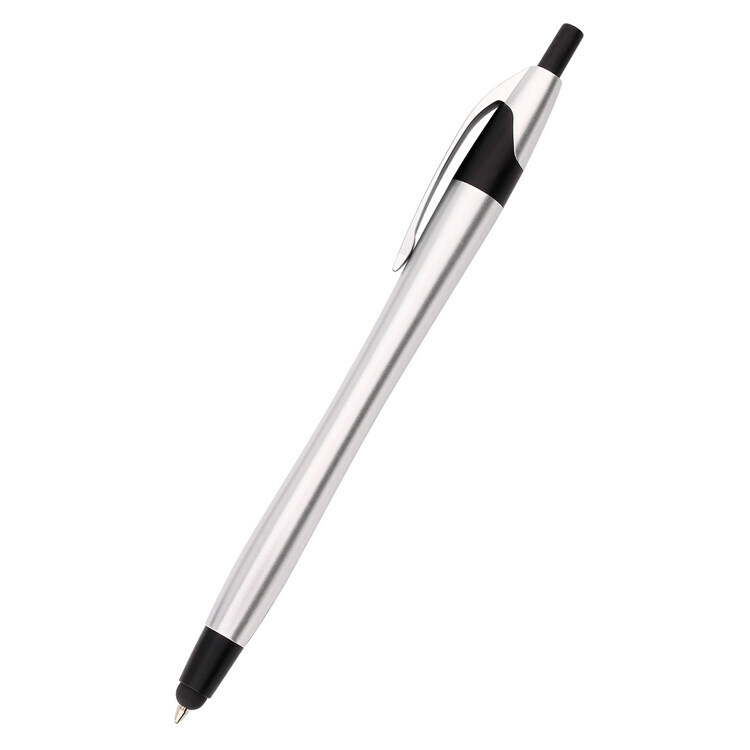 The stylus on the end of the pen is very convenient for the touch screen user. As always, the Javalina pen features an ultra-smooth ink catridge, with either blue or black ink, to enhance the writing experience. Shipping Weight: 1000 units at 21 lbs. You've probably already met our supremely popular Javalina Stylus Pen, but this brand-new writing instrument is something else entirely. 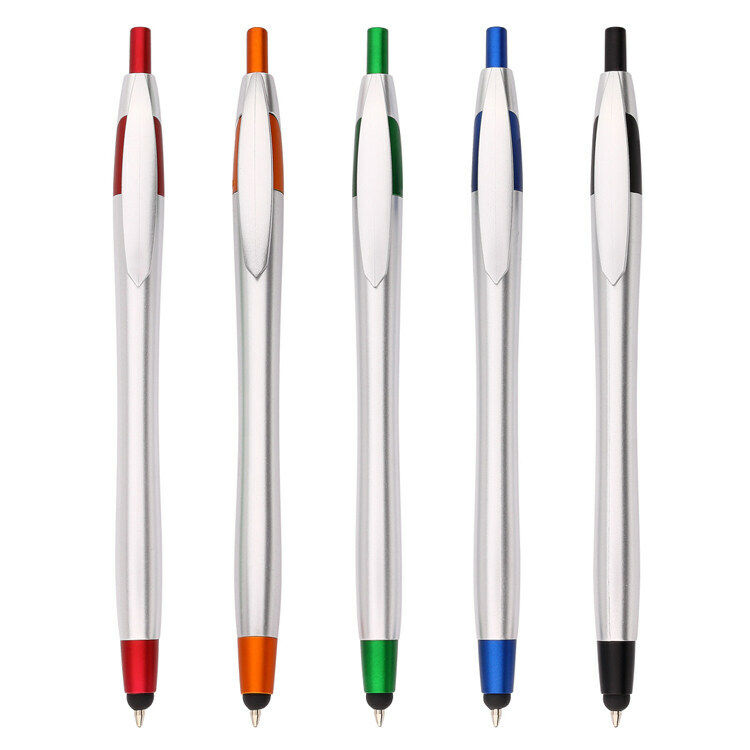 May we introduce you to the Javalina Stylus Pen with Stylus ? We think you two will have a lot to talk about. We were already fans of retractable ballpoint pens, and then this little beauty came into our lives. The pen writes just like any other, just as you'd expect, but the soft rubber stylus makes touch-screen devices giddy with joy. 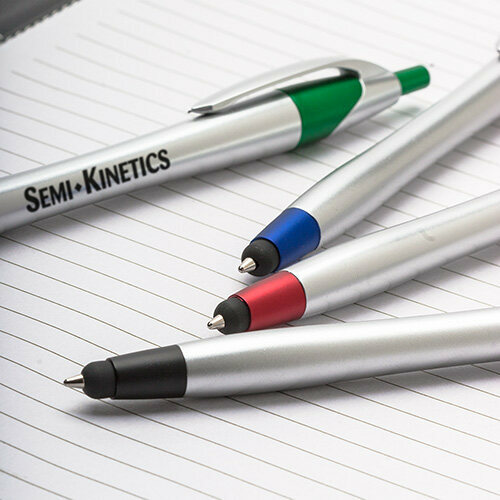 We didn't have any trouble writing with one of these custom pens during testing. The stylus was also very responsive on one of our smartphones. 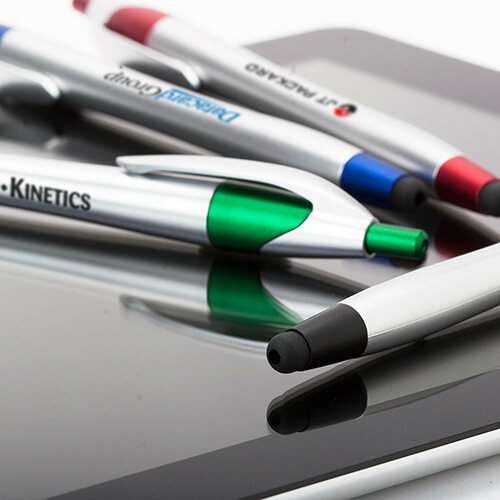 Now your clients won't have to alternate between their click pens and their pen styluses because it's all here in one product, with your bold logo staring them in the face! Choose from 5 barrel colors to find the best complement to your giveaway, and then give your JAVLEINPEN.COM a ring to start the order process. We're poised and ready to help. Order now for the guaranteed lowest price on Javalina Pens with Styluses! Pens look great! Super fast shipping! Very happy with quality and printing, thank you! Great marketing product. Staff and donors seems to really like the way they write. Just what we were looking for. It was a great price and the turnaround time was quick. Pen looks and feels nice! Writes nice as well! Logo is a nice size - not too overwhelming. Good choice! 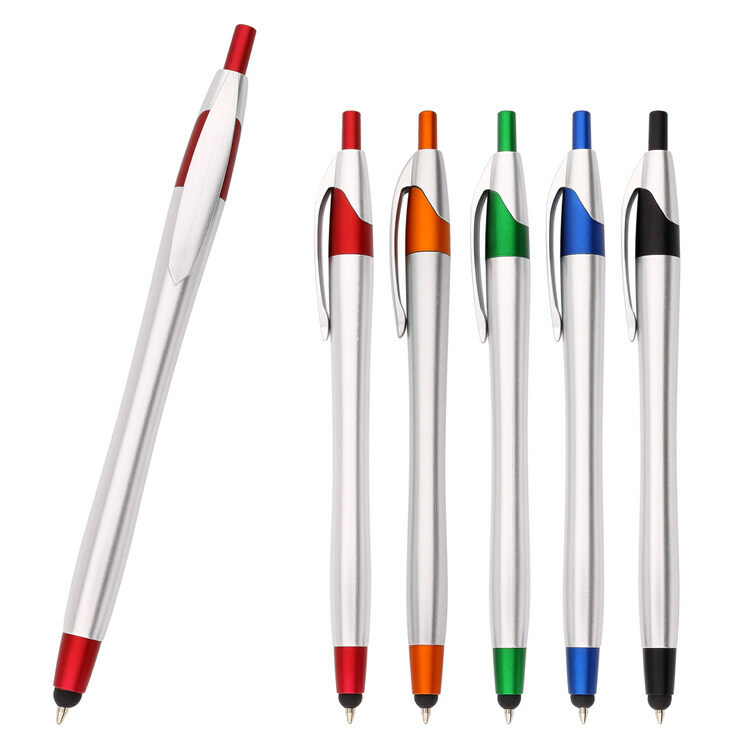 Great job Javelinpen, we are including the stylus with all orders of our service. This pen is a very nice inexpensive pen. 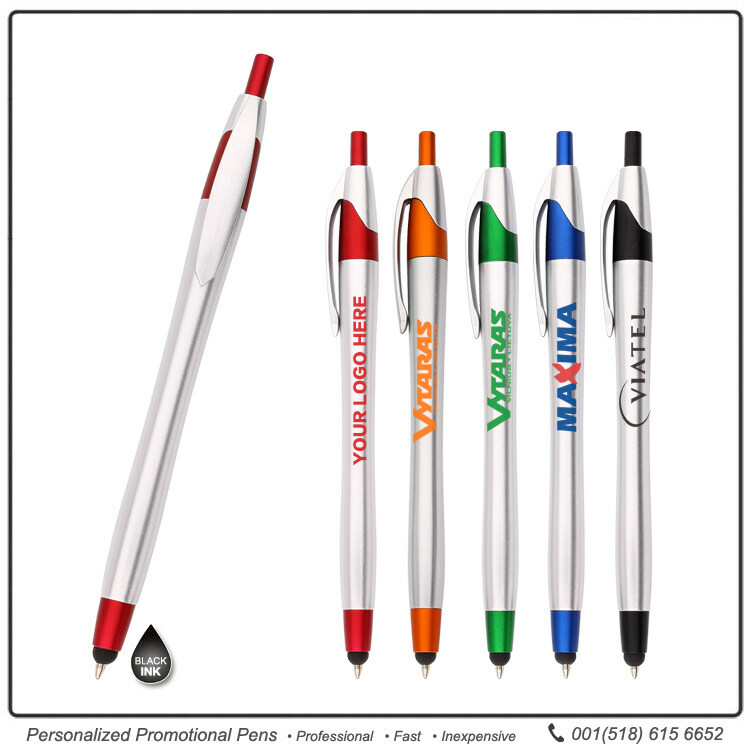 The pens write well and display our name nicely. The set up was perfect. The pens were given out at a school parent night. The parents loved that the school name was printed on the pens and they write very smoothly. I ordered pens for my daughters wedding with the bride and groom's names and wedding date. They were perfect!! Ordering was easy! Price was wonderful! They arrived in a timely matter. When I showed them to my daughter, she loved them!! And that's all that mattered.